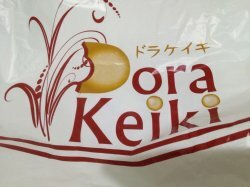 Durian hokkaido cake $2.50. 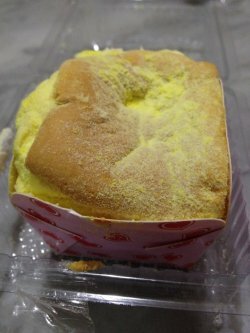 The durian cream was very little but the cake was light, fluffy and moist. I love the texture but they are too stingy with the durian fillings. 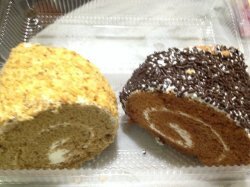 Usually cakes nowadays cost rather expensive so I was surprised that these decent looking cake rolls cost just $1.50. I bought 2 flavors, chocolate and coffee, to try. The texture was rather dry and they did not have the fragrance that cakes have. Overall, they tasted below average. Even though they are cheap, I won't buy them again.